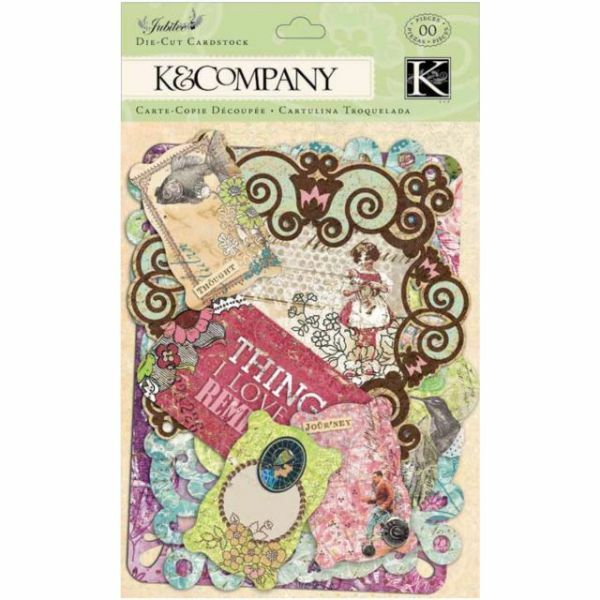 Jubilee Cardstock Die-Cuts - K&COMPANY-Jubilee. This package contains forty-four cardstock die- cuts with glitter accents ranging in size from 1x1/2in to 5-1/2x4in (1 of each design). Acid and lignin free. Imported.